Does that look like peace enough to you? La Paz, Baja California Sur, Mexico means ‘Peace’ and we must admit, La Paz has the upper hand when it comes to “off-the-beaten path” activities. We’ve been there and can attest to that. From swimming with sea lions to sipping champagne, there’s no shortage of R&R or adventure. Hidden away on the southern tip of the Baja Peninsula approximately 135 miles north of Cabo San Lucas on the Sea of Cortez, the city is a gateway to one of the world’s most unique and bountiful ecosystems, declared a World Heritage Site and dubbed by French marine biologist Jacques Cousteau ‘the aquarium of the world’. The city’s rich cultural history, striking natural wonders, white sand beaches, turquoise waters and world-class sports fishing have made it a magnet for romantics seeking a secluded getaway, outdoor enthusiasts looking for adventure and families in search of a kid-friendly place to explore. Outside selected La Paz as best weekend escape of 2013 and Beautiful Bride as one of the top six honeymoon destinations for San Diegans. 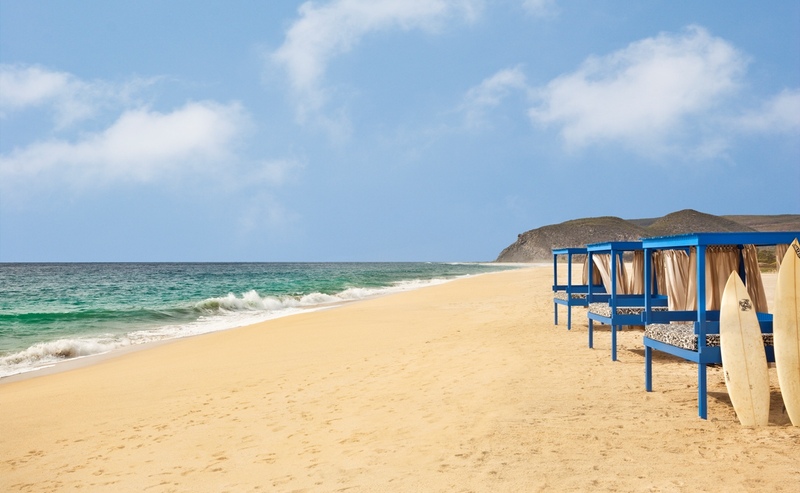 Direct flights are available from Los Angeles on Aeromexico, while a new four-lane highway makes the drive from Cabo San Lucas only 90 minutes. Adventure is a big draw for experiential travelers who look to connect with the essence of their destination. The waters surrounding La Paz have one of the world’s most diverse marine ecosystems whose exceptional number of fish species-891, 90 of them endemic-has earned the area a World Heritage Site distinction. Visitors can dive deep into the culture and right into El Bajo, a popular dive site known for schooling hammerheads, amber jacks, tuna, and giant Pacific mantas; or explore Espiritu Santo, a UNESCO protected gem that boasts approximately 23,800 acres of untouched ecosystems. 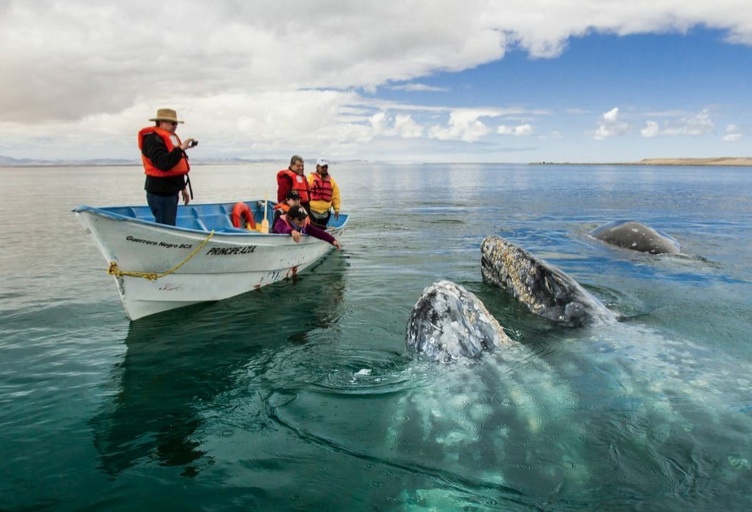 From mid December to late March visitors can experience the migration of gray whales, which swim approximately 5,000 miles from the Artic and North Atlantic to mate or give birth in the shallow lagoons of Magdalena Bay-approximately two and a half hours from La Paz. For adrenaline junkies looking for some action, a whale shark encounter is the perfect end to a dive trip. These gentle filter feeding giants, weighing in at 79,000 pounds, are the largest fish in the world and can sometimes surpass 40 feet in length. Approximately 45 minutes south of the city, travelers can visit a 124-acre cactus sanctuary dedicated to the conservation of the dozen species native endemic to Baja Sur region. North of the city, trails lead hikers to secluded and pristine beaches, showcasing one of the most impressive sights in La Paz-the juxtaposition of the sea and desert. If you are traveling with kids, Los Islotes, a colony of approximately 500 Californian brown sea lions, is a must-see. The playful pups are a fun and special treat for snorkelers and even the most seasoned divers. 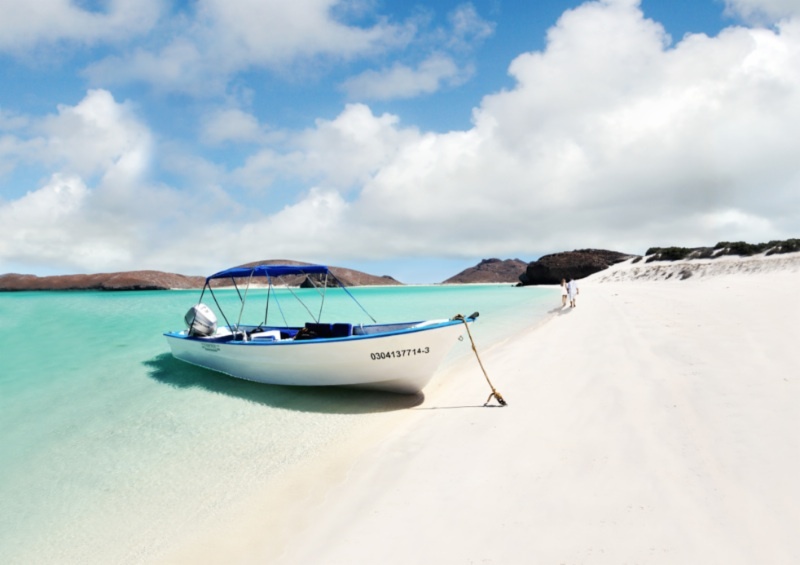 La Paz is home to miles of virgin coastline, with dozens of white-sand beaches whose calm, crystalline waters are perfect for kayaking, snorkeling, paddle boarding and swimming. El Tesoro, a bay beach surrounded by mountains, is the perfect beach for kids as it boasts calm and shallow waters, and also features a small playground and restaurant. Coromuel, the first beach on La Paz’s scenic road, is where many families spend their weekends. 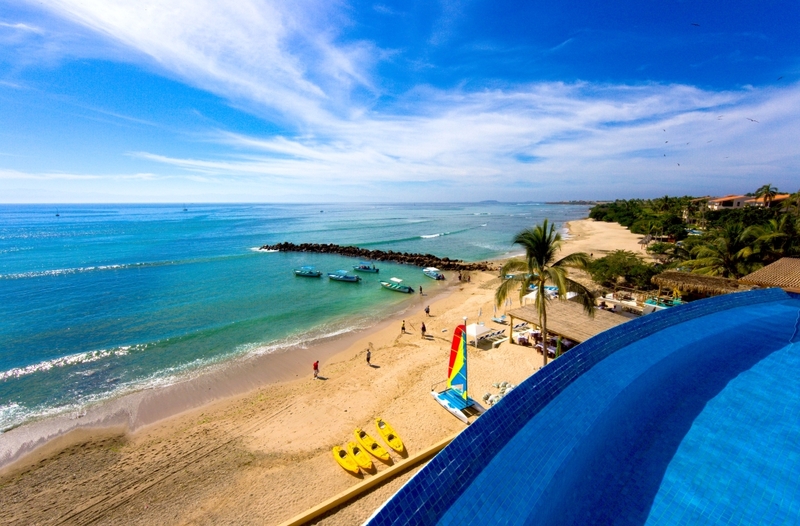 The beach, lined with palapas (tiki huts), offers Jet Skis for rent and a variety of equipment for water sports. Balandra, La Paz’s most famous beach, is the ultimate place for relaxation and known worldwide for its spectacular views of white-sand mountains and the bright blue sea. Balandra’s waters are so shallow and calm bathers can walk to the other side of the bay. Balandra is also home to El Hongo, La Paz’s signature mushroom-shaped rock formation. The century old buildings and bustling boardwalk with ice cream stands, also offer a nice cultural component to any family vacation. The Regional Anthropology and History Museum located in the heart of the city displays an interesting collection of fossils and cave paintings that give insight to the daily lives of the town’s first dwellers. 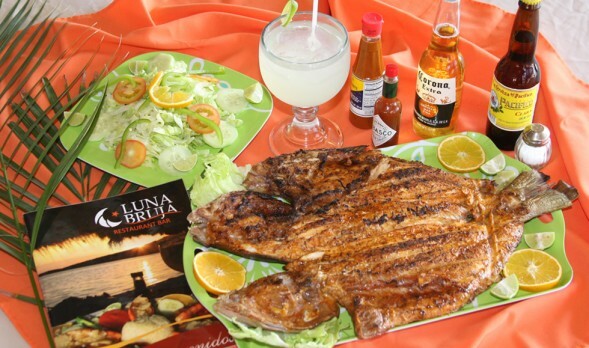 For those who live to eat, La Paz has a number of restaurants ready to satisfy the even the most discerning palates. Stroll down the Malecon (boardwalk) to find an array of colorful choices. For starters there is El Bismarkcito, a local favorite popular for its fish dipping sauce, and shrimp tacos. A block away from the boardwalk, travelers can spot the fisherman delivering his catch of the day to El Empanada, a friendly spot famous for its chocolatas, or chocolate clams, a delicacy harvested from the waters of the Sea of Cortez whose peculiar name stems from their brown-colored shells. Local chefs like Cristina Kiewek, from CostaBaja Resort and Spa’s resort award-winning restaurant Azul Marino, have created menus based off traditional Mexican recipes with an added global flare. Kiewek’s newest venture, Nim, situated in downtown La Paz, has been well-received since it’s opening in in October. Built on an old historic home with large open spaces and ample natural light, the restaurant boasts a variety of international plates such as New Orleans style oysters, Vietnamese pho, Mediterranean Carpaccio, Moroccan lamb and traditional crowd-pleasers like guacamole and Mexican sopes (hand-made, thick corn tortillas with meat toppings). 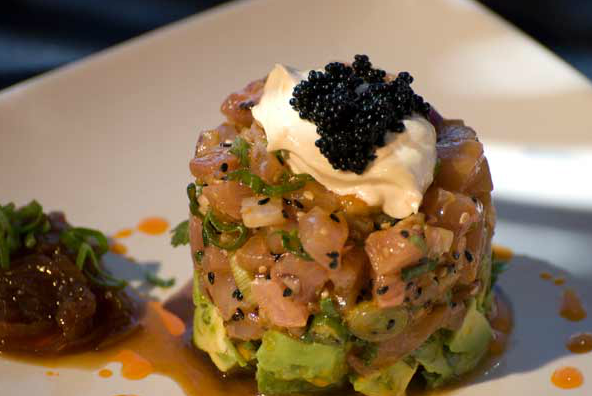 Nim’s sister restaurant Azul Marino offers its guests a gourmet atmosphere, and the best Asian-fusion in town (think melt-in-your-mouth summer rolls and yellowtail tartare with hints of ginger!). Pichilingue, a five-minute drive from El Tesoro, is home to two famous seafood restaurants, Restaurant Playa Pichilingue and Luna Bruja Restaurant. Its shallow, calm waters are perfect for kayaking and paddleboarding, a great way to feel less guilty after indulging in all of La Paz’s delicacies. Great. Now I want to go back all over again! No Apocalypse? Head to the Mayan Riviera to Celebrate! Well, since we all knew the world wasn’t really going to end, what better way to pretend you’re surprised and thankful than a trip to the land of the Maya? 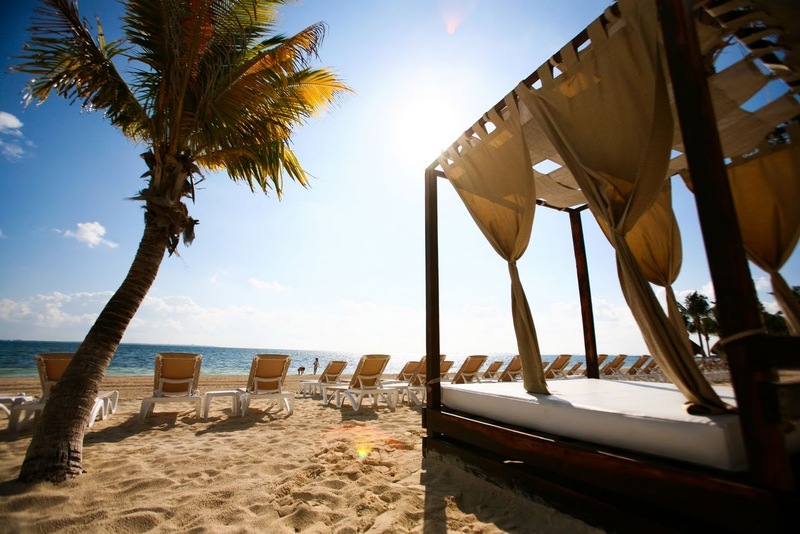 If you’re planning any spring getaway, the Riviera Maya is always a great choice. The region has cemented itself as a safe, culturally diverse and accessible region in Mexico. Flowering with lush biodiversity, dotted with intimate hideaways within steps of the clear Caribbean Sea, and featuring gourmet restaurants serving up locally sourced fare, the Riviera Maya seems a world away, but is only a short direct flight from nearly every American city. o Papaya Playa, a pop-up design hotel we’ve written about before, is ideal for those wishing to reconnect with nature. The hotel also features a kiteboarding school for those looking to learn a new sport. – Eat & Sip with a calm conscience at Hartwood Tulum: Set in an open-air environment, couples will enjoy the tranquil beauty of the beach under the night sky while indulging in bold flavors from local products and fresh ingredients used to prepare meals by hand. This restaurant is owned by Eric Werner, a Chef who left New York to pursue his dream in paradise. – Stay bee-utiful with products found only at the destination: Enjoy the benefits of honey from the native Melipona stingless bee at several spas throughout the region. Examples include: “Ritual Ixchel” at Esencia and “Honey in the Heart” signature service at Fairmont Mayakoba. – Awaken the senses at a UNESCO World Heritage Site: Visitors can delight the eyes with the picturesque vision of tropical species, float on mangrove-surrounded rivers while interacting with turtles and fish at the Sian Ka’an Biosphere, which covers over 1.6 million acres of various ecosystems. Other activities include sport fishing, kayak, hiking and snorkeling, while admiring 103 species of mammals, over 345 species of birds and 52 species of fish. So since the world isn’t ending quite yet, as Ke$ha says, might as well make the most of the night like you’re gonna die young! 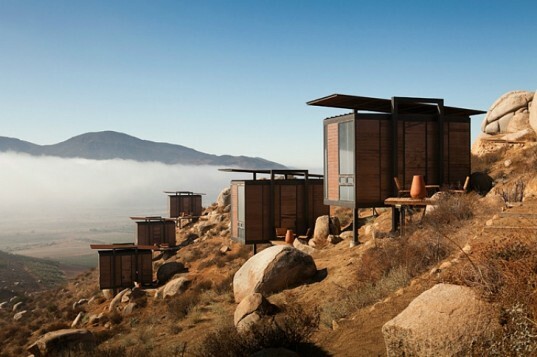 Newly opened just a few days ago and set along rugged boulders in the heart of Baja California lies Endémico in Mexico’s fast growing wine region. Endémico (English: endemic), was designed to pay homage to the organic beauty of the landscape; from stark desert to lush vineyards. A team of hand-selected local tradesmen worked in collaboration with Gracia Studio to create 20 luxury cabins, which blend seamlessly with their awe-inspiring natural surroundings. Hotel owners Carlos Couturier and Moisés Micha, the partnership behind the highly innovative Grupo Habita portfolio of hotels, are avidly committed to investing in the regions in which they build their hotels, on an environmental, social, economic, and cultural level. Therefore, the eco-friendly cabins are raised off the ground to minimize their impact on the landscape and are constructed from Corten steel and wood to ensure that they weather over time. The rustic tranquillity of the environment also inspired the fresh, understated interior design of the cabins, which all feature simple yet chic furnishings. Minimal the cabins may be, but modern comforts and luxurious touches have not been overlooked. 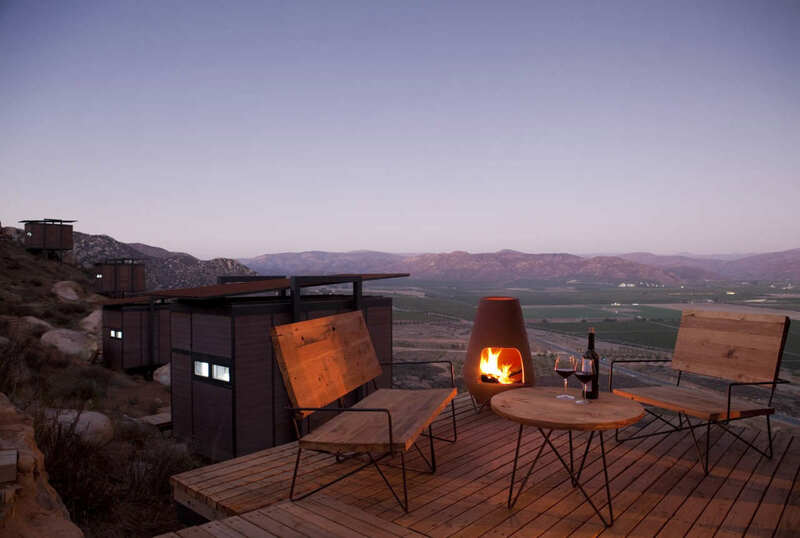 Private terraces offer unobstructed views over the Valle de Guadalupe and the traditional clay fireplaces, known locally as kivas, allow guests to sit under a blanket of stars and sip regional wines while being warmed by a roaring fire. From the pool, guests can soak up the calming solitude, while gazing out over the vast expanse. 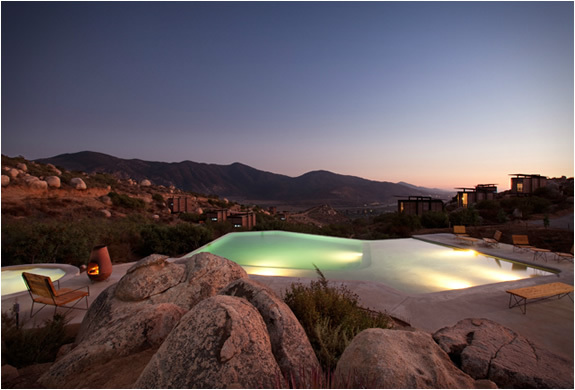 Endémico, located in the village of Valle de Guadalupe between Rosarito and Ensenada, is a mere 90min. drive from San Diego. The region is also known as “El otro México” (the other Mexico), being neither a part of California, yet nothing like mainland Mexico. The area, with its old fishing and mission towns, offers an interesting blend of modern and traditional Mexico and cultural traits from across the nation mingle here, causing an exciting cultural and artisanal melting pot. Would you like a side of salsa to go with your infinity pool? Me too! This just in: aspiring chefs and chic celeb followers… One&Only Palmilla is introducing a new Outdoor Kitchen and Herb Garden for Mexican Culinary Classes and private dining. Why is this cool? 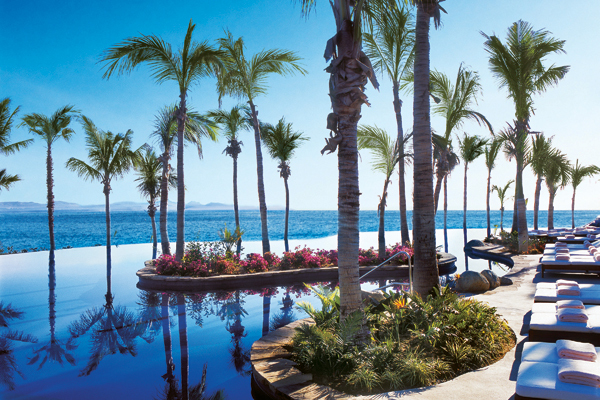 Well, not just because Jennifer Aniston and Sofia Vergara like to swim laps in their luxury pool, but also because it’s home to the upcoming Mexican Culinary Festival November 7-11, 2012 in Los Cabos! The new garden venue will serve as the location for weekly complimentary cooking demonstrations and Iron Chef-style culinary competitions led by visiting Mexican chefs and resort experts. Able to accommodate up to 12 guests, each weekly culinary seminar begins with a guided tour of the herb garden with a variety of fresh produce including a collection of indigenous chilies such as habanero, pequin, and poblano, and herbs like cilantro, epazote, sweet basil, and hibiscus tea plant. But that’s not all! Each demonstration will be paired with a Mexican wine or tequila selected by Head Sommelier Manuel Arteaga. I think I may need to fly down just to cover this great sounding space, no? 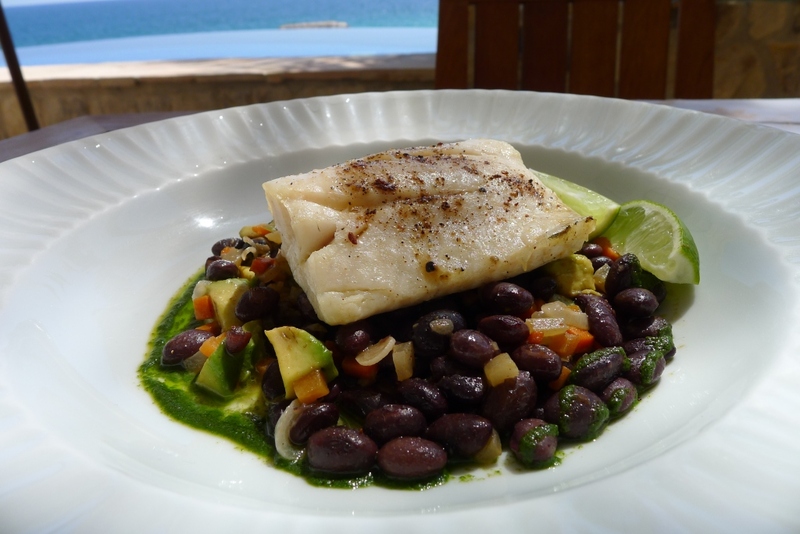 One&Only Palmilla Cuisine – Fresh, Healthy, Delicious! In addition to weekly culinary classes, the Iron-Chef-type competitions will pair teams of four guests with one chef against another in a light-hearted cook-off. Winners will be awarded a complimentary dinner at the Chef’s table. Similar style culinary classes and competitions in the Herb Garden will also be made available for teens too. All designed to incorporate the four elements of Chi – water, fire, earth and wind – the One&Only Palmilla Herb Garden is just another reason why Jen and her besties migrate south of the border a few times a year. The One&Only properties are truly some of the best. With the One&Only Palmilla, One&Only Reethi Rah, Maldives, One&Only Le Saint Géran in Mauritius, One&Only Royal Mirage in Dubai, One&Only Ocean Club in The Bahamas, One&Only Cape Town, South Africa and One&Only The Palm, Dubai, you have a One&Only retreat available at stunning exotic locations around the globe. They also recently announced plans to develop a new One&Only resort on Tufu Bay in Sanya, Hainan, China slated to begin welcoming guests in early 2014 (so you have time to hit up all of the rest until then). Hip. Slick. Surf. What more do you really want when you escape to Mexico’s chic rustic coastline? 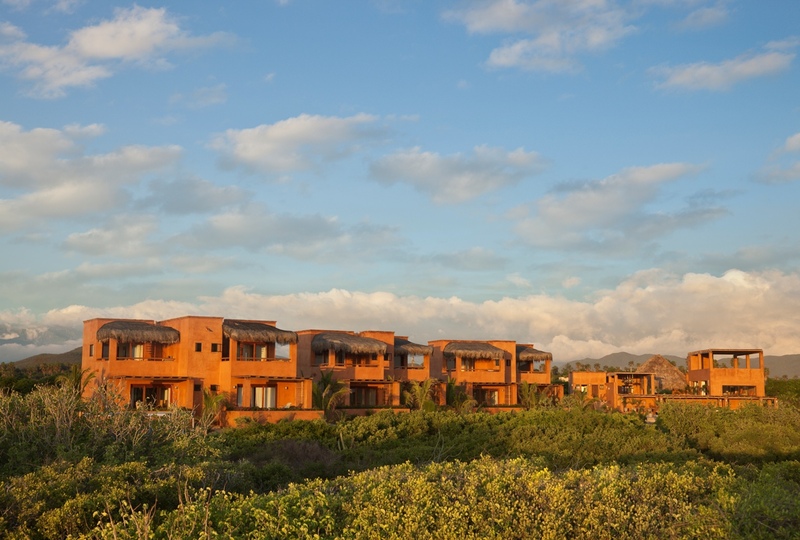 Add in one of our favorite places to hang – otherwise known as Punta Mita – and you have a luxe, yet unpretentious escape; a pristine organic living experience in a refined atmosphere. It’s so us. Here, a healthy lifestyle is paramount, but shoes are optional. 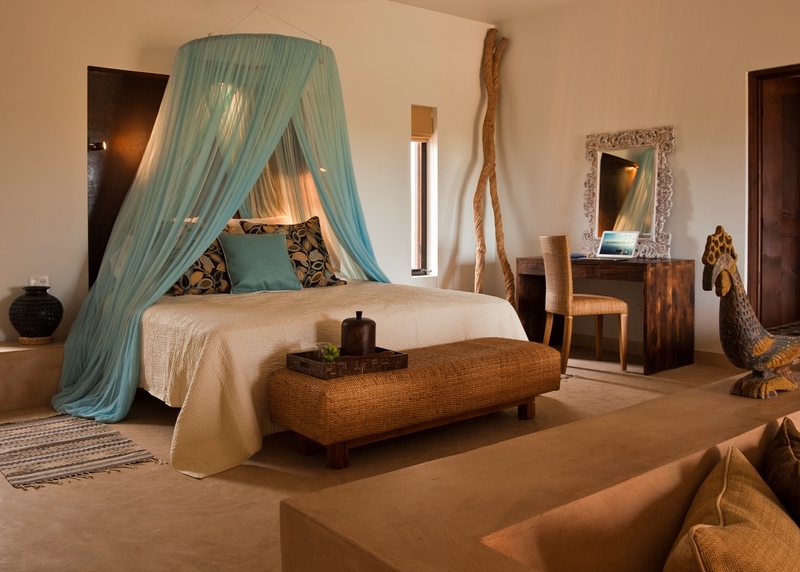 Punta Mita’s secret gem of a hip hotel, Hotel CINCO has 2 and 3-bedroom CINCO Starfish and CINCO Signature suites ranging from 1,400-2,700 sq ft in size (perfect for you and your honey, you and your family, you and your hot friends, or you and your board). Think beach-sweet design, a complete kitchen with top-of-the-line appliances and state-of-the-art electronics. Posh digs for sure, but this is a place where no one blinks twice if you track sand on the marble floors and put your feet up. You can also dine at the appropriately named restaurant on the property. One of Punta Mita’s freshest: Café des Artistes del Mar, owned and operated by the award-winning and internationally recognized chef, Thierry Blouet. 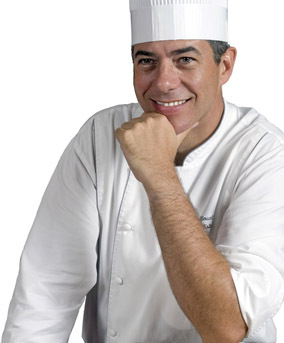 Awarded the rank of Maitre Cuisinier, distinguishing him as one of an exclusive group of culinary professionals and an ambassador of French cuisine throughout the world, Blouet is a member of the Academie Culinaire de France, an organization that brings together French chefs with those of other countries such as Mexico, Canada and the United States. The food is locavore all the way, highlighting the freshest seasonal ingredients from regional fisheries and farms in the Nayarit region of Mexico with touches that only a fine French chef can deliver. Another fave? Rooftop casual dining at CINCO’s Local Harvest restaurant where new friends can be made over the community table. Cold cervezas are always on hand or, if you’re like us, you’ll want to try exotic organic libations at the adjacent Barefoot Bar, heaven-made for watching the sunset or counting stars. If that’s not cool enough, they also plan Culture Camps: As they say, “Life at CINCO supports and promotes the art of living a healthy, active lifestyle. Not only the body, but the spirit needs nourishing, and so we are pleased to present an ongoing — and changing — selection of Culture Camps. Look to CINCO to offer creative learning experiences in a fun, group atmosphere.” Culture Camps may be combined with room stays — but need not be. They are also open to residents in the area, or those staying nearby. In fact, should they not have availability, or you prefer a different type of accommodations, let them know, and they’ll be happy to help arrange that for you too. Shopping? Yes, thank you: snap up beyond-the-ordinary treasures from Pachamama frocks to Panama hats at Revolución del Sueño. The hotel also offers the complete Gerry Lopez AquaCenter with Surf/SUP (Stand Up Paddling) Concierge for aquatic adventures of every sort, and the CINCO Athletic Club & Spa to soothe and restore. You’d be nuts not to put this place on your list of New Year’s Resolutions. You’re an eco-adventure culture hound, aren’t ya? As a part of our work with the Mexico Tourism Board, we recently had the opportunity to visit La Paz, Mexico and we didn’t want to leave. The cleanliness of the area, the beauty of the people, the brilliant water, the food (Buffalo BBQ in La Paz), the ice cream, the colorful fish, snorkeling in Mexico with sea lions… we could go on and on we loved La Paz, Mexico so much. In fact, we’re already playing with the idea of a retirement home in Baja. Therefore, in addition to all the other great locations and openings around the world that we like to inform our readers about, we wanted to share some Baja, Mexico news. 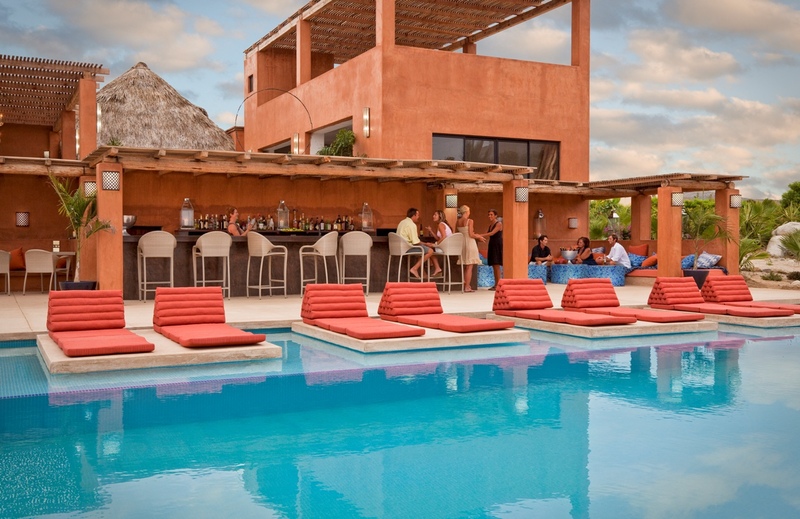 A contact of ours recently informed us of this sweet resort: Rancho Pescadero, a stellar destination for total relaxation which adventurous pursuits in a laid back luxury resort environment just an hour north of Cabo. From surfing one of the top local breaks to hiking the Sierra Laguna Mountains, Rancho Pescadero gives guests the perfect place to enjoy all that Baja has to offer, by arranging day trips to the Sea of Cortez for a chance to snorkel, book surfing lessons, or plan a fishing trip with a local panguero. With access to two miles of secluded white-sand beach and two swimming pools, the property’s “best gym is the outdoors”. Guests have free use of an ample supply of surfboards, boogie boards, fishing equipment and bicycles. In addition to beach walks, ocean swims and surfing workouts, guests can also enjoy daily complimentary yoga classes. One of the most popular activities is whale shark watching at Espirtu Santo Island (this is where we snorkeled and it’s one of the most amazing snorkeling sights we’ve ever laid eyes on). 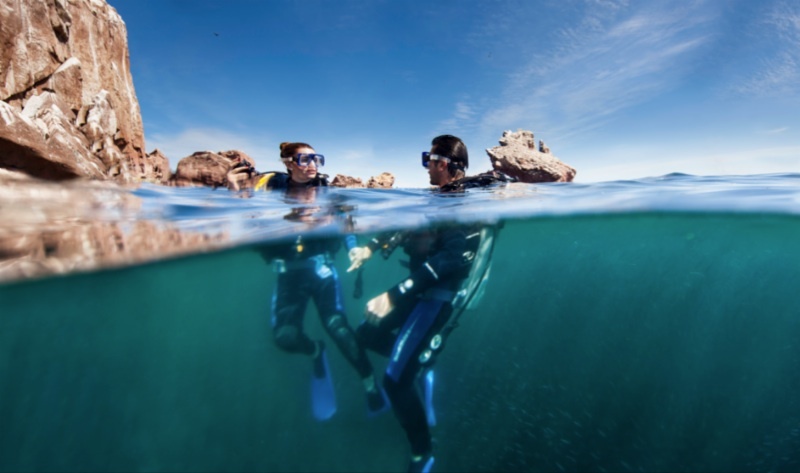 Guests can explore the amazing Marine National Park while interacting with whale sharks and swimming with sea lions in the lagoons of the Magdalena Bay. Other activities include scenic waterfall walks, ATV tours and the once-in-a-lifetime experience for thrill seekers to explore wide open Baja by going open road racing. After an activity-filled day, Rancho Pescadero then provides all of the ingredients needed to relax and rejuvenate: a treatment at The Tres Hermanas Spa, creative Mexican cuisine, or simply lounging poolside with a hand crafted cocktail. You really can’t go wrong, it’s so right. This just in! 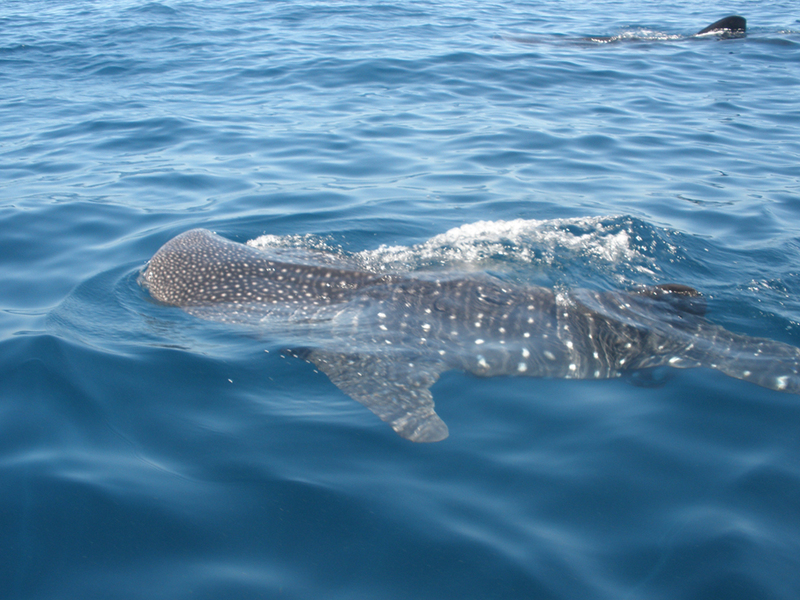 From June through September, hundreds of whale sharks gather in the waters just a short boat ride from the Villa del Palmar beachfront resort in Cancun – one of the top two places in the world to see these incredible ocean-dwellers. The family-friendly beach resort, which opened last December, is currently offering a Whale Shark Adventure Family Package Deal at great value, with massages included (helloooooo, Cancun!) and two children under 12 staying and eating for free.